The boys’ and girls’ basketball programs had extremely successful seasons this past winter, as the boys’ program won its ninth-straight Skyland Conference divisional title while the girls had their best finish in the division in three years. 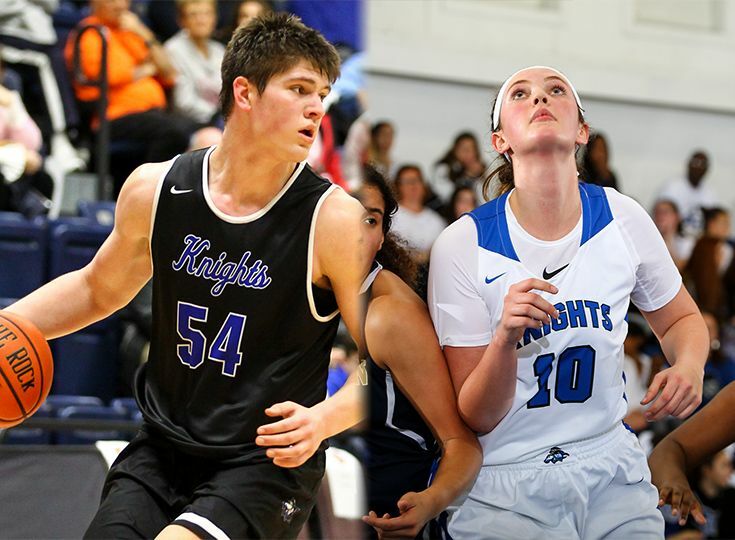 The Knights had some of the best players in the area to achieve this success as Gill had four players earn first-team all-division honors and three others earn second-team all-division selections. See below for the full list of players chosen for this honor and congratulations, everyone!